I once told someone that being a Nigerian is an endless nightmare. A nightmare full of horror and tragedies. A nightmare where everything is against you and a fellow brother sees you perishing and the next thing he thinks of is how to grab your valuables. A nightmare where the politicians are the demons hurting and haunting you. A nightmare where no one cares about you, where being a saint makes you a victim of circumstances and being bad is the only channel of making it big. Only the evil ones are praised and the good ones are mocked of how “sainty” they’re to themselves. Only the evil things move and the righteous things are just there without followers. A nightmare where you are lost in the forest of frustration and finding yourself becomes the most difficult thing on earth. 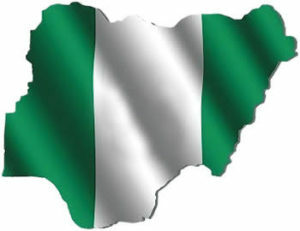 Nigeria makes you loose your sense of belonging, you loose yourself on the long run trying to out run some things. You are desperately despressed and talking to yourself on the street becomes a daily routine. Yes, you see your dreams flying away from your hands and nothing can be done about it. We live in a society where we pay for everything and end up not using the same thing we’ve paid for. You pay for light which you don’t see, you pay for water which you don’t use, you pay for security yet, afraid of armed Robbers; you pay for your waste and for weeks and months, the waste bin is still packed outside waiting for you. We live in a society where you fear the seen being more than the unseen being. We live in a society where the leaders are selfish and greedy to the core. We live in a society where brothers are ready to kill each other because of poverty which have eaten deepest part of them. The youths are being paid by the so called politicians during an election to steal ballot boxes for them and these youths don’t bother about their future rather by the gain of the day. The immediate cause of these challenges appear to be deeply entrenched in poverty and ignorance which defines lives of the vast majority of the Nigerian people. Invariably, broken homes and families who find it difficult to provide the basic needs equally end up at some point on the streets and the phenomenon very much alarming resulting to: lack of proper Education, Selfishness and greedness and they can easily be manipulated by these political hooligans. We grew up learning how to stay for 24 hours without light in our houses. And when the light comes, we scream “Up Nepa” as we were taught to scream by the society. Then, we hurry inside to get our clothes and the pressing Iron but before we pick those two, the light is gone. That might be the only time the light would come but at the end of the month, a crazy bill is passed for you to pay. You’ll end up paying the bills for the light you didn’t use to avoid embarrassment and having issue with your landlord and other tenants. Here in Nigeria, many of these landlords know how to fight you for paying the light bill late, they fight you for not paying the waste bill while they see the waste still pack in front of your apartment. We live in a country where when renting an apartment, you pay for the unseen Agent’s fee and agreement and damage fees even when nothing is damaged. The intended Agent and Agreement fees are more than the money for the apartment you rented. The landlords end up taking advantage of you as his tenant. They fight you at any given time. We only hear the same promises by the so called leaders every four, four years. They keep repeating the same campaign promises which they never fulfilled in the last tenure and my people still vote for them, still campaign for them because of the two cups of rice they will collect at the end of the day. Nigeria is the only place you see a leader selling groundnut, vegetable, helping the poor and even sharing food in the street during his campaign and after the campaign, he becomes untouchable mortal who don’t care about your feelings and emotions and your speeches as a citizen of his country. Then, after four years, he would return to the street to join you to sell roasted plantain again and give you false promises just for him to get your vote. The disadvantages of being a Nigerian is being blind and deaf and dumb at the same time. Being a Nigerian, you must not be seen on dreadlocks to avoid SARS/police harrassment and abuse because wearing a dreadlocks makes you ‘yahoo boy’ or an illicit drug dealer. Every police man will always wants to extort from you righteously. Child labour, child trafficking, child prostitution, poverty and a host of others are the deadly threat found here in my countryside. In fact the menace can be reduced through strategies towards reduction of poverty, mass-literacy, preventive health programmes, and other social services. Being a Nigerian is not an escape to poverty but rather an introductory to poverty 101. Many Nigerians have learnt the acts of talking to themselves while walking along the road. The frustrations out there are the engine behind the scriptures of madness in my country home. There is nothing quite like being on your own in a foreign country. You might find that studying abroad really brings out your independent nature than studying here in a school full of endless strike and lecturers’ who fix their mind on how to abuse and harass students. Students who study abroad become explorers of their new nation and really discover the curiosity and excitement that they harbor. A benefit to studying abroad is the opportunity to discover yourself while gaining an understanding of a different culture. Being in a new place by yourself can be overwhelming at times, and it tests your ability to adapt to diverse situations while being able to solve problems. To be a Nigerian you must get ready to adapt to these vices: Poor infrastructure, lack of adherence to acceptable global standards, weak manufacturing base, high cost of doing business, industrial base not strong – still import-dependent for most essential inputs. Somehow, Nigerian men face thicker challenges on the street out there,its a war out there. As a man, you need to be extra ordinarily careful on the street, you mind where you talk and how you talk to avoid troubles, be it conductor,police or any place, you must try nd avoid brawls else you’ll end up where you never expected to be.